The world is in the midst of one of the most significant changes of all times. In reality, we are already living in the future, yet sometimes we don’t even realise how far advanced our world has become. Every day we are using these little handheld devices with colourful displays on which we tap and swipe to be woken up, video chat with friends or order a pizza. In some ways we have become inseparable from our smartphones within the last ten years. This is the kind of organic development world-changing technologies are bringing to us. Artificial Intelligence is amongst these absolutely world shifting technologies. AI is still in its early days, yet quite a few advanced solutions have been built with it and are in use by businesses. Bots for example, when used right, hold amazing advantages for businesses in their communications and support for their customers. Aside from cutting costs – an estimated $11 billion will be saved annually on a global scale until 2023 – many new and exciting solutions are possible. 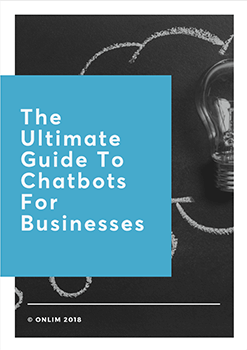 This article is meant to introduce you to a few innovative and effective ways how you can use chatbots in marketing and sales, helping you to promote your business, increase your sales and support your customers more efficiently. Many companies are already creatively using chatbots. Be it global brands or small-scale start-ups and enterprises – chatbots are opening up a wide array of use cases. H&M being the global fashion player it is, must cater to the needs of millions of customers daily. Getting chatbot support was one of their most pressing tasks. The H&M chatbot helps customers on their smartphone through their shopping journey. Suggesting new outfits and leading the way to the right areas of the online shop for customers to be able to make their purchase. Customers can use text commands to interact with the bot and can buy, save and share the outfits they like. With their custom made chatbot H&M was able to aid their mobile shoppers tremendously while cutting costs for customer support. A classic Win-Win! Amtrak is the most extensive rail transport provider in the US. More than 375.000 customers are visiting Amtrak’s website daily. Phone reservations used to make up the most significant chunk of their ticket reservations. To be able to help their customers more quickly and cost-effectively the chatbot Julie was developed. The bot is now guiding customers through their user experience on the Amtrak website. Helping them via text and speech commands to find information, make reservations and purchase tickets. With the implementation of the chatbot Amtrak was able to get 25% more bookings and 30% more revenue per customer, while at the same time saving over $1 million in customer support from their call centers. The Sparkasse bank was looking for a way to get more users for their new app “Kwitt”. “Der Bote” was an ingenious way to use a chatbot to drive customer engagement and the use of their app. Der Bote is an interactive chatbot that acts as a muscle-packed and tattooed debt-collector. In the Facebook Messenger, he is asking the user for the name of the one owing money and how much he or she owes. With this information, an individualised and funny video is created by the bot that can be immediately shared with the “debtor” through social media. This funny and entertaining way of using a chatbot has generated over 80.000 unique videos and increased the use of the app “Kwitt” by 38%. All this costing less than a cent per video view, a very competitive rate for such a campaign. Novi is the chatbot of tagesschau and NDR sending its subscribers a news flash twice a day. Catering to a younger audience, it engages in a laid-back way and sends out snack-sized news snippets that are catering to a generation on the move. Interacting with the chatbot the users can use text prompts to ask for more information about a news story and learn more about other news of the day. This use of a chatbot to spread the news is quite ingenious as it’s taking it one step closer to the readers. Directly into their inbox instead of posting it on the different social media channels. Thereby avoiding costs to promote their posts. Additionally, the interactions with the subscribers are generating valuable information about their likes and dislikes. As you can see chatbots open up very creative and unique ways to interact with your customers. Higher profits, while saving costs at the same time sounds too good to be true? Well with chatbots it isn’t. 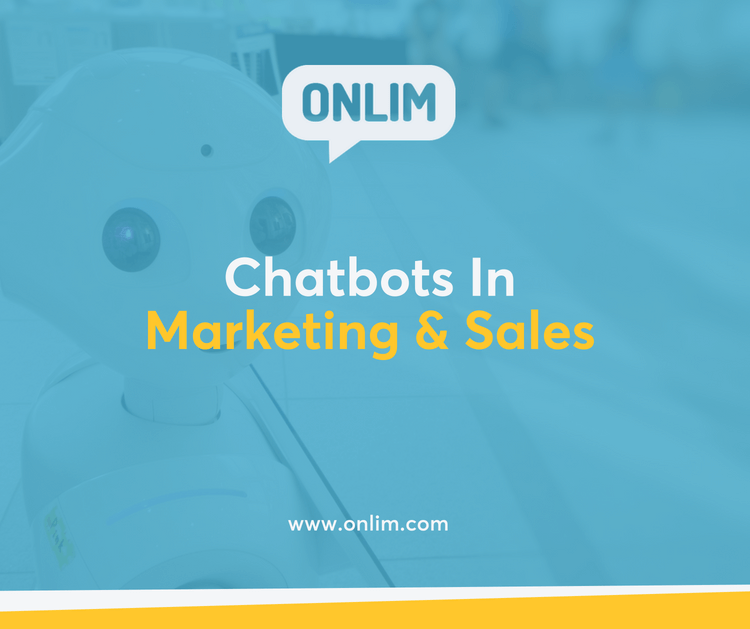 Here are at Onlim you’ll find advanced AI-based chatbots for customer service, marketing & sales. Click here to find more information and arrange a free online demo call.